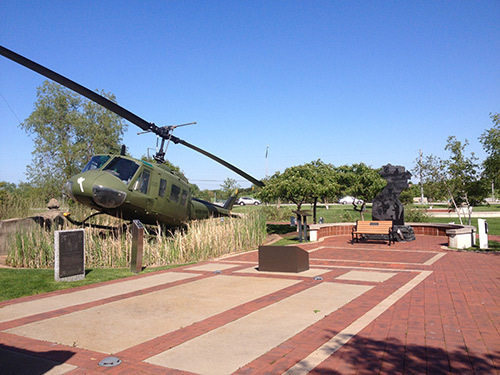 Community Veterans Memorial is a fascinating and beautiful location in Munster, Indiana. I&apos;ve actually lived nearby for several years, but only recently began to truly appreciate the vast scope and depth of this memorial site. Unlike a lot of traditional war memorials, Community Veterans Memorial doesn&apos;t just focus on one particular war in America&apos;s storied history, but instead, pays homage to all of the conflicts of the 20th century. Each monument reflects a troubled time in our history when American soldiers were sent to war. Every area is chocked full of historical information, as well as an area to pay your respects to the soldiers who gave their lives in these battles. Each area has a narration that you can listen to, as well a bit of the conflict you can experience. Never does it glorify the battles, only accurately reflects the service that the soldiers provided and the plight they endured. This is a somber experience in many ways, but perhaps the most amazing part of Community Veterans Memorial is that the park is so beautiful and majestic, that it honors the legacy of what these soldiers sacrificed their lives for, leaving you with a feeling of hope, not sadness. I personally find that to be the most moving part of the entire park. Every time I visit, I come away with the feeling of how lucky I am to have had so many great opportunities in life, and to be able to enjoy such freedoms because of the people that this memorial honors. You almost feel like you know these men and women as you go through the exhibit. The bronze statues that depict these heroes are incredible and life-like. Created by Julie and Omri Amrany, each of these statues reflect a soldier during a struggle in the various wars. These are one-of-a-kind aspect, which brings out the unique nature of this memorial. You can feel the emotion and turmoil, bringing about a real sense of what these men and women had to go through. Between the sculptures, the helicopter and surroundings, you can&apos;t help but feel as though you&apos;re seeing a different side of war than most people ever get to experience. 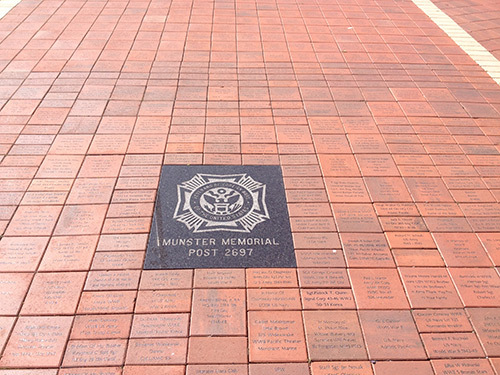 To add a personal touch to the memorial, there is a memorial pathway with bricks celebrating the life of soldiers from the area. Because this memorial is dedicated to so many different wars, you can actually see family lineage throughout the brick pathway. 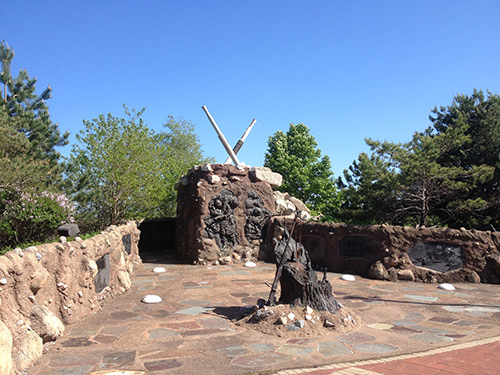 Grandsons and grandfathers can be memorialized in the same place, making this a unique site, not just to the region, but to the country. Whether you&apos;re thinking of paying respect to those who served this upcoming Memorial Day, or simply want to experience something different in the region, Community Veterans Memorial is a place for personal reflection and emotional revelation. It&apos;s conveniently located on Calumet Avenue in Munster, right across the street from Centennial Park. Now that the beautiful weather is upon us, make a visit to Community Veterans Memorial and spend some time really looking and reading. I can almost guarantee it&apos;ll be an experience you won&apos;t soon forget. Former Video Production Associate with the South Shore CVA. The South Shore Convention & Visitors Authority is the destination manager of the Northwest Indiana visitor industry. We'll fill you in on all the fun things to do and places to visit in Northwest Indiana, along the South Shore of Lake Michigan!